Are you looking to eat healthier in 2017 but aren’t sure where to begin? We’ve got the perfect solution: meal prepping! The benefits of meal prepping are endless. You’ll save time by making meals in advance, spend less money at the grocery store by purchasing in bulk, and most importantly, always have a convenient healthy option during mealtime. 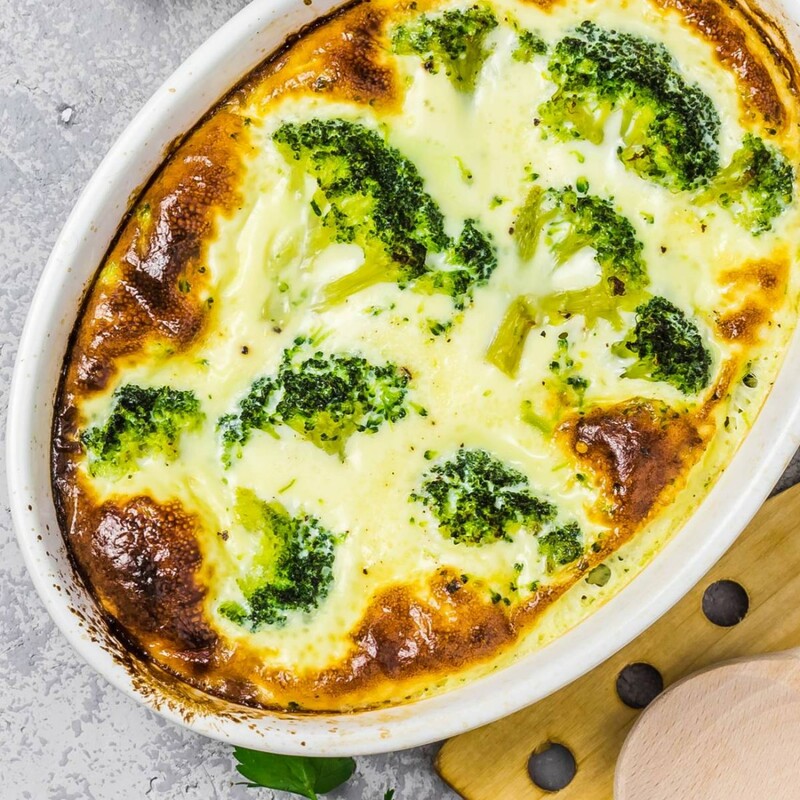 To get you started, we’ve rounded up seven different meal prep ideas ranging from breakfast to dinner. Bon appétit! Protein and veggies are an essential part of all pre-prepared meals, and this recipe pairs lean grilled chicken breast with organic Green Valley Green Beans and juicy cherry tomatoes. Not only is this nutritious meal easy to make, it’s also delicious. 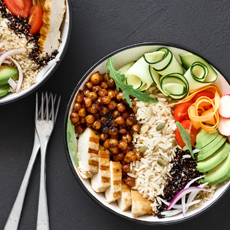 This cauliflower cashew bowl will have you counting down the minutes until lunchtime! 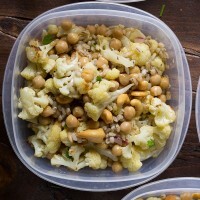 Roasted cauliflower, cashews, barley and organic Green Valley Garbanzo Beans are tossed together in a honey-ginger vinaigrette dressing for a healthy yet delicious bowl that you’ll actually be excited to eat. 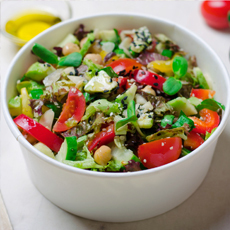 Instead of buying an expensive takeout salad that may also contain hidden calories, try creating your own! This salad in a jar idea puts you in control of the ingredients. Made with vibrant veggies and organic Green Valley Black Beans, this recipe is the perfect way to add protein and nutrients into your busy work day. Meal prepping isn’t just for lunch – it’s also a great way to make dinner! This easy-to-make idea includes all the components of a healthy meal: whole grains, good fats and veggies. Simply prep on a Sunday and you’ll be set for the rest of the week. These homemade fudge brownie protein bars are filled with extra protein and fiber from a secret ingredient: organic Green Valley Black Beans! While healthier than most protein bars, these brownie bars are also just as delicious. One batch yields 10 bars, which makes them perfect to bring to work or even pack in your child’s lunchbox. Everyone loves a tasty burrito bowl, however buying takeout can quickly add up. With this homemade meal-prepped version, you’ll save money and calories! 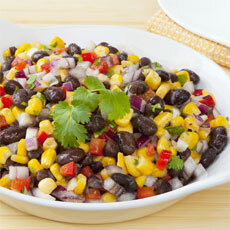 Crafted from tender pork, organic Green Valley Corn and Black Beans this recipe is sure to become a weekly favorite. If you’re looking to free up some time in the morning, these overnight oats will make breakfast quicker than ever! Full of fiber and healthy grains, this recipe will fuel you through the busiest of workdays. Plus, you’ll have the freedom to add whatever mix-in’s you like best — fruit, honey, nuts, you name it. 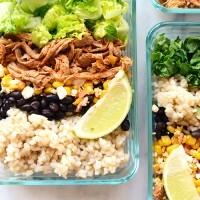 With these seven meal prep ideas, eating healthier is easier than ever! 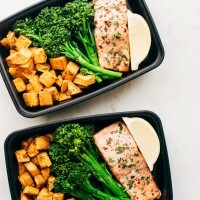 Have a healthy meal prep idea of your own? Share it with us on our Facebook or Instagram and we may share your idea with the rest of the Green Valley community.